Publisher: CIHM/ICMH Microfiche series = CIHM/ICMH collection de microfiches -- no. 09391, CIHM/ICMH microfiche series -- no. 09391. "CIHM/ICMH Microfiche series = CIHM/ICMH collection de microfiches -- no. 09391, CIHM/ICMH microfiche series -- no. 09391" serie. 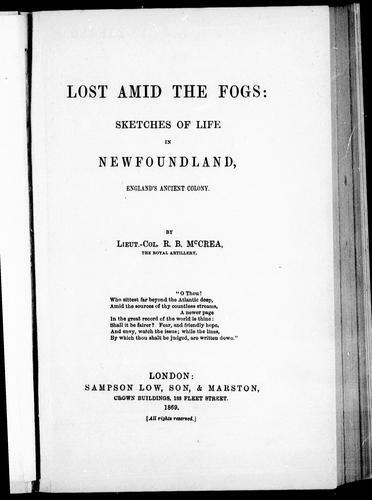 We found some servers for you, where you can download the e-book "Lost amid the fogs" by R. B. Mccrea TXT for free. The Book Hits team wishes you a fascinating reading!